The job of vicar of Llangollen is now officially on offer. The website of the Diocese of St Asaph is carrying an advert for the position of Vicar of Llangollen, Llantysilio and Trevor. It's also in the Church Times and on social media. Closing date for the search to find a replacement for the Rev Andrew Sully, who left recently to move to the church in Llandudno, is July 16. The advert says: "The Llangollen Group of Churches is part of Valle Crucis Mission Area, located in the Dee Valley in an area of outstanding natural beauty. Llangollen is home to the world-famous International Eisteddfod and is a vibrant and lively town. old job is now on offer. "This is an exciting group of churches that enjoys enormous goodwill from the local community. Our vision is generous, modern and sacramentally focussed, offering lively and engaging worship and ministry to all." Stating the requirements, it says: "We are looking for a priest who will lead and encourage the next stage of our life and mission, enable all the people of God to grow spiritually and develop their gifts, help us to spread the Gospel message in our communities, work collaboratively within Valle Crucis Mission Area." Interviews will take place on July 25 in St Asaph. Andrew Sully left a few months ago after being in Llangollen since 2006. 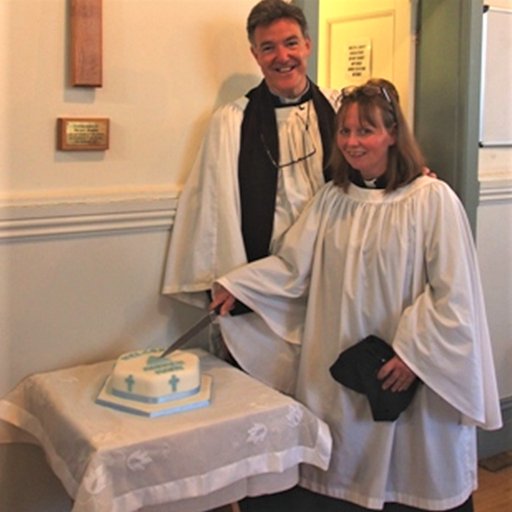 His wife Mary will combine her new ministry in Llandudno with being Archdeacon of Bangor.